“Remember in high school, college, or just graduating, when you were trying to learn about a certain industry or profession, but you really had no idea? Seems like you always hear about Lexington School alumni who are doing well in so many areas, and you’d want to call them but maybe felt a little uncomfortable. The networking events try to make that connection more comfortable.” Griffin Miller ’07 is describing the 2017 Young Alumni Networking Event at Cross Gate Gallery coming soon on January 5th. 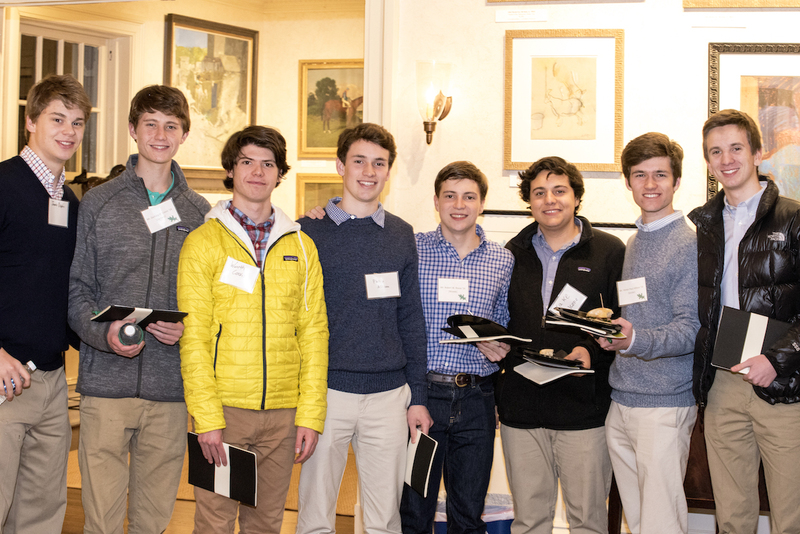 The Lexington School’s Alumni Council has created a fun and informal forum for helping young alumni learn from the expertise of many well-established TLS alumni and friends. The Lexington School community is a strong and influential group with connections in a wide variety of industries. Networking is the key to success in any profession, and The Lexington School wants to help with the process. Hosted by the Alumni Council, the evening featured a TLS panel of experts representing a wide range of interests and industries in Central Kentucky: Shannon Bishop Arvin ’90, equine law; Peter Barr ’96, real estate; Dr. Laura Bonzo, education; Lincoln Brown ’95, entrepreneurship; Dr. Luke Fallon ’85, veterinary medicine; Bret Jones ’96, equine industry; Tom Kessinger, wealth management; and Dr. Tommy Slabaugh ’89, medicine. The Alumni Council is extremely excited to announce the upcoming (amazing) confirmed slate of mentors for the January 5th Young Alumni Networking Event at Cross Gate Gallery. Continue to watch for an updated list closer to the event. The Lexington School family is special. The Alumni Council and Association aims to deepen the connections not just in Lexington but nation-wide. If you are an alumnus of TLS interested in helping the younger set get started, please contact us and let us know. We want to connect you because as we come together, we make the TLS family tree wider, taller, stronger for everyone. If you are a young alum, just getting started, this opportunity is not to be missed. Contact the development office or REGISTER ONLINE and let them know you’ll be there!